The Arewa Youths Consultative Forum (AYCF) has asserted that the leader of the Indigenous People of Biafra (IPOB), Nnamdi Kanu is wanting to escape Nigeria through the Cameroonian borders. AYCF said it had insight reports, that Kanu was en route to the Cameroon borders, from where he could without much of a stretch flee from the country. "We know that he is plotting to discover a method for escape through Cameroonian borders, which is less demanding for him to move and keep running back to where he has a place. "He is headed searching for how to hurried to Cameroon and that we know from our knowledge reports," the President of AYCF, Mallam Shettima Yerima, told Punch on Sunday in Jos. 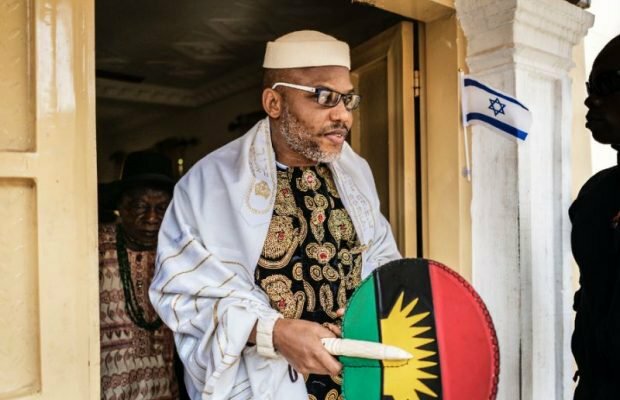 Kanu and best IPOB leaders, were said to have remained in isolation following the revelation on Friday by the Nigerian Army, that IPOB was presently a terrorist association.